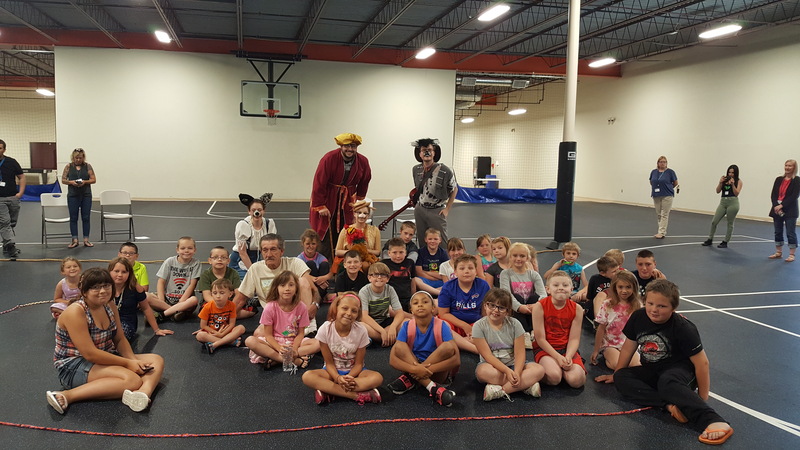 FULTON – The Merry-Go-Round Youth Theatre performed ‘The Bremen Town Musicians’ atThe CYO Summer Recreation Program at Catholic Charities of Oswego County. The Merry- Go-Round Youth Theatre performed the classic Brothers’ Grimm fairytale “The Bremen Town Musicians” on their summer tour of 2018. The play follows a group of outcast animals who have left their homes because they have been told they are no longer useful. Their misfortune brings them together and they set off on a musical adventure. “The play had such a great storyline and truly showed the children that through teamwork, creativity and friendship, they can do anything,”said Mary-Margaret Pekow, CCOC executive director. 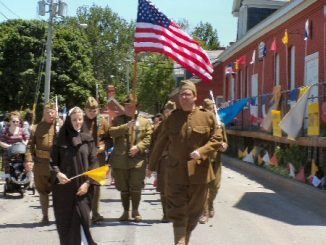 The Merry-Go-Youth Theatre performed ‘The Bremen Town Musicians”at The CYO Summer Recreation Program at Catholic Charities of Oswego County. For more information on the CYO Summer Recreation program please contact Mike Savona, CYO supervisor, at 598-3980 ext. 281. The CYO Summer Recreation program is offered free to children in second grade through eighth grade in Oswego County (children can be entering second grade in September). The program will be running until August 31. Activities in the program include; daily recreational activities, outdoor recreation at local parks, special presentations and awareness groups, arts and crafts and other fun activities. rained staff supervises all activities and assists all participants as needed to ensure that they receive the full benefits of the program as well as help in their physical and emotional development. In addition, children receive a free breakfast and lunch daily through the USDA Summer Feeding Program sponsored by the Food Bank of Central New York or they can bring their own meals if they wish, Pekow said. The CYO Summer Recreation program is funded in part by the United Way of Greater Oswego County, the NYS Office of Children and Families, and the City-County Youth Bureau. For more information on the program please contact Mike Savona, CYO supervisor, at 598-3980 ext. 281. Located in the Key Bank Building, Fulton, Chirello Advertising offers full service advertising, public relations, and marketing expertise to a variety of industrial, professional, institutional and retail clients throughout Central New York. Established in 1996, the agency specializes in public relations planning, graphic design, web design and streaming web video, video production, market research, radio, television, online, and print advertising. Steve Chirello can be contacted at (315) 592-9778, [email protected] and www.chirello.com. Profiles of the agency are also on Facebook® and LinkedIn®.